As we are prepping for Halloween 2014, we can’t help but admire all the superhero movies coming out this year. From Captain America, The Amazing Spiderman 2, to X-men: Days of Future Past. 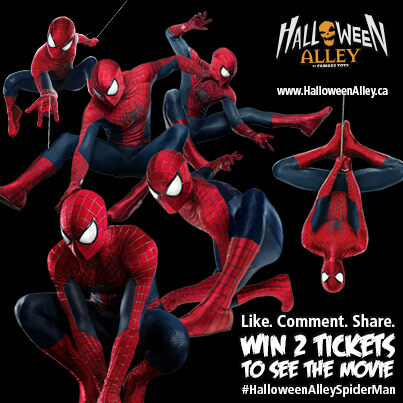 In our latest movie giveaway we featured The Amazing Spiderman 2 in his full glory. 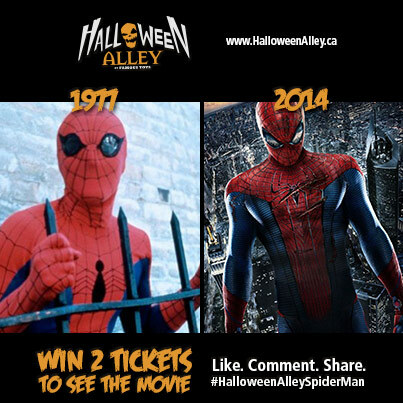 Having games and giveaways around movies became a tradition here, at Halloween Alley. We love an opportunity to re-live the old… agh… sorry – classic looks of our favourite superheroes – from their costumes (which, of course, successfully become Halloween costumes afterward), to the actors who have played them over the years. If you missed this giveaway, here’s a little snapshot for you, to catch you up, and to fill you in, on “this” vs “that.” Comment below, let us know what you think! NOTE: this giveaway is now over, but please sign up for our newsletter above, to ensure you stay updated on our new contests! 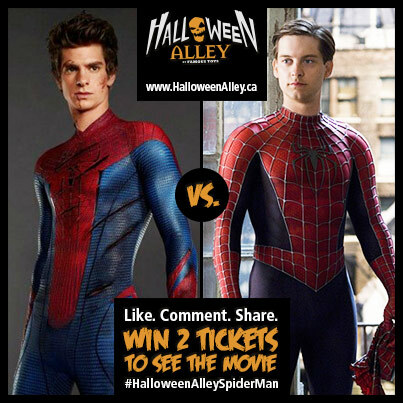 Which Spiderman costume do you prefer? The classic or the new-and-improved one? Who played the role better? Who makes a better Spiderman?